"Calistus III" and "Calixtus III" redirect here. For the antipope, see Antipope Callixtus III. Pope Callixtus III or Callistus III (31 December 1378 – 6 August 1458), born Alfons de Borja, was Pope from 8 April 1455 to his death in 1458. 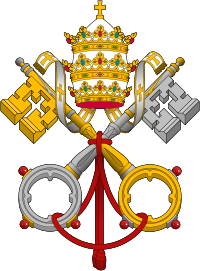 He is the most recent pope to have taken the pontifical name of "Callixtus" upon his election. He was also responsible for the retrial of Joan of Arc that saw her vindicated. A member of the Borgia family, Callixtus III was the uncle of Pope Alexander VI. Alfons de Borja was born in La Torreta in 1378. La Torreta was at the time in the Señorío de Torre de Canals but now a neighborhood of Canals in Valencia. At the time he was born in the Kingdom of Valencia under the Crown of Aragon. He was the son of Domingo de Borja and Francina Llançol. He was the eldest child and his siblings were Isabel, Juana, Catalina and Francisca. He was baptized at Saint Mary's Basilica in Xativa, where he is now honored with a statue in his memory. During the Great Western Schism he supported Antipope Benedict XIII and was also the driving force behind Antipope Clement VIII's submission to Pope Martin V in 1429. Borgia studied grammar, logic and the arts in Valencia and went in 1392 to the University of Lleida where he obtained a doctorate in both canon law and civil law. His early career was spent as a professor of law at the University of Lleida and he then served as a diplomat to the Kings of Aragon, especially during the Council of Basel (1431–1439). When he was a priest he attended a sermon that Vincent Ferrer - future saint - held around 1411. At the end of his message, the Dominican said to the future pope: "My son, you one day will be called to be the ornament of your house and of your country. You will be invested with the highest dignity that can fall to the lot of man. After my death, I shall be the object of your special honour. Endeavor to persevere in a life of virtue." As pope, Borja canonized Ferrer on 3 June 1455. Borgia was chosen as a delegate of the Diocese of Lerida to the Council of Constance in 1416 and did not partake in the proceedings as King Alfonso V of Aragon was opposed to the council. Because of this he went to Barcelona as a representative of his diocese in a synod. Borgia cared strongly for the reestablishment of the unity of the church and his influence with the Aragonese monarch was the factor that allowed for the conclusion of the accord between the king and the new pope. In 1418 he was named as the rector of San Nicolas of Valencia. He was also the Vice-Chancellor of the University of Lerida from 1420 to 1423. In 1424 he resigned his position and dedicated his service to the Aragonese king. In 1424 he was named as the apostolic administrator of the see of Mallorca. It was at that time that the king desired that he be made a Cardinal; Pope Martin V refused the request that Borgia be made a Cardinal. He was chosen to be the Bishop of Valencia on 20 August 1429 and was consecrated on 31 August 1429. He authorized Pedro Llorens to take possession of the see in his name. Borgia also tutored Alfonso V's illegitimate son Ferrante. Pope Eugene IV elevated him to the cardinalate on 2 May 1444 after he managed to reconcile the pope and King Alfonso V of Aragon. He was elevated as the Cardinal-Priest of Santi Quattro Coronati. 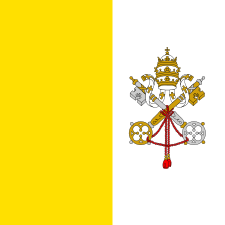 He took up his official residence in Rome and was a member of the Roman Curia. He participated in the papal conclave of 1447 that saw the election of Pope Nicholas V. He was known for an austere and charitable life. 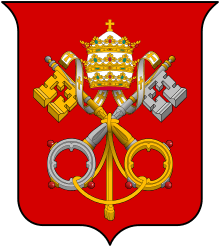 Borgia's coat of arms after he was consecrated featured a grazing ox. As pope it remained the same. 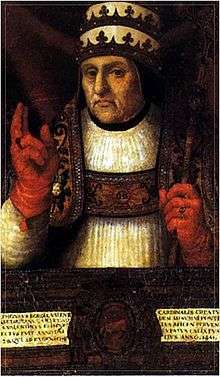 He was raised to the papal chair on 8 April 1455 at an advanced age as a "compromise candidate" in the papal conclave of 1455. He took the pontifical name of "Callixtus III". He was crowned as pope on 20 April 1455 by the Cardinal Protodeacon Prospero Colonna. He is viewed by historians as being an extremely pious person and a firm believer in the authority of the Holy See. Not quite two years after the Fall of Constantinople, he was chiefly concerned with the organization of Christian Europe against an invasion by the Turks. An extensive building program under way in Rome was cancelled and the money funneled toward a crusade. Papal Nuncios were dispatched to all the countries of Europe to beseech the princes to join once more in an effort to check the danger of a Turkish invasion. Missionaries were sent to England, France, Germany, Hungary, Portugal, and Aragon to preach the Crusade, and to engage the prayers of the faithful for the success of the enterprise. It was by order of Callixtus III that the bells were rung at midday to remind the faithful that they should pray for the welfare of the crusaders. The princes of Europe were slow in responding to the call of the pope, largely due to national rivalries. England and France's Hundred Years' War had just ended in 1453. Forces led by John Hunyadi (Hungarian: Hunyadi János), Captain-General of Hungary, met the Turks and defeated them at Belgrade (22 July 1456). Shortly after his victory, Hunyady himself died of a fever. On 29 June 1456, Callixtus III ordered the church bells to be rung at noon (see noon bell) as a call to prayer for the welfare of those defending Belgrade. To commemorate this victory, Callixtus III ordered the Feast of the Transfiguration to be held annually on 6 August. In 1456 the pope issued the papal bull Inter Caetera to Portugal (not to be confused with Inter Caetera of 1493). This bull reaffirmed the earlier bulls Dum Diversas and Romanus Pontifex which recognized Portugal's rights to territories it had discovered along the West African coast as well as the enslavement of infidels and non-Christians captured there. This confirmation of Romanus Pontifex also gave the Portuguese the military Order of Christ under Prince Henry the Navigator. Inter Caetera of 1456 was in direct contradiction to the stance taken by Pope Eugene IV in the 1435 bull Sicut Dudum, which prohibited capturing slaves in the Canary Islands. On 20 February 1456, Callixtus III elevated two of his nephews to the cardinalate. The first of them was Rodrigo de Borja ("Borgia" in Italian) who later became Pope Alexander VI (1492–1503), infamous for his alleged corruption and immorality. The second was Luis Julian de Milà. Callixtus III ordered a new trial for St. Joan of Arc (c. 1412–1431), at which she was posthumously vindicated. The pope approved of the establishment of the University of Greifswald that took place in 1456. Callixtus III elevated nine new cardinals into the cardinalate in two consistories on 20 February 1456 and 17 December 1456. Tomb of Callixtus III and Alexander VI. According to one story that first appeared in a 1475 posthumous biography and was subsequently embellished and popularized by Pierre-Simon Laplace, Callixtus III excommunicated the 1456 appearance of Halley's Comet, believing it to be an ill omen for the Christian defenders of Belgrade from the besieging armies of the Ottoman Empire. No known primary source supports the authenticity of this account. The 29 June 1456 papal bull of Callixtus III calling for a public prayer for the success of the crusade makes no mention of the comet. 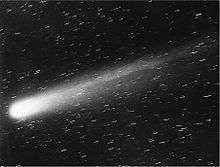 By 6 August, when the Turkish siege was broken the comet had not been visible in either Europe or Turkey for several weeks. Callixtus III died on 6 August 1458. His remains were transferred in 1586 and again in 1610 with the remains of Pope Alexander VI to Santa Maria in Montserrato. His remains were transferred once more on 21 August 1889 in the chapel of San Diego. In his will he left 5000 ducati to establish a hospital. "Except for his nepotism, Calixtus III deserves high praise, more especially for the energy, constancy and purpose which he displayed in dealing with the burning question of the day -- the protection of Western civilization from the Turkish power. In this matter he gave a grand example to Christendom, and it is to be observed that in the midst of the military and political interest which claimed so large a share of his time and attention, he did not neglect the internal affairs of the Church, and vigorously opposed heresies." ↑ McBrien, Richard P. (2000). Lives of the Popes: The pontiffs from St Peter to John Paul II. San Francisco: HarperCollins. p. 260. ISBN 0060653043. ↑ Miranda, Salvador. Consistories for the creation of Cardinals: 15th Century (1394-1503) The Cardinals of the Holy Roman Church. Retrieved 29 January 2016. ↑ John Stein (1913). "Bartolomeo Platina". In Charles George Herbermann. The Catholic Encyclopedia. 12. Robert Appleton Co. pp. 158–159. OCLC 1017058. Artaud de Montor, Alexis François (1911). The Lives and Times of the Popes, Vol.4. Catholic Publication Society of America, 1911. Pastor, Ludwig von, History of the Popes, Vol. 2 (Second Edition, translated by Frederick Ignatius Antrobus), 1899. Wikimedia Commons has media related to Callistus III. "Calixtus". Encyclopædia Britannica (11th ed.). 1911.